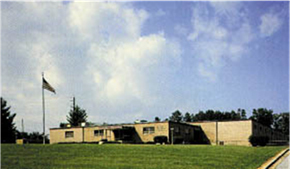 Piedmont has been manufacturing switches, resistors and related products in Clarkesville Georgia since 1962. We serve the automotive and lawn equipment industries. 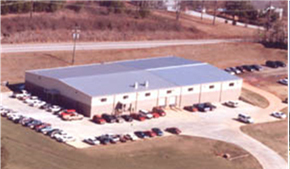 Over the years our main factory has grown to 65,000 sq ft, and we also have a second facility in Cleveland GA.
We perform a wide range of manufacturing processes including stamping, riveting, spring coiling, key milling, and several types of mechanical assembly. We build and maintain much of our own tooling and assembly equipment. 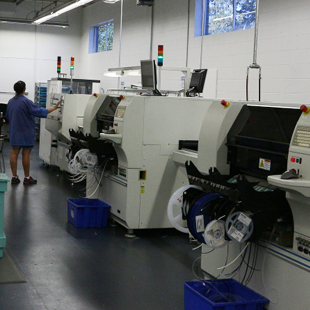 In recent years Piedmont has expanded our electronics assembly capabilities. We do traditional hand soldering, fountain soldering, and wave soldering. 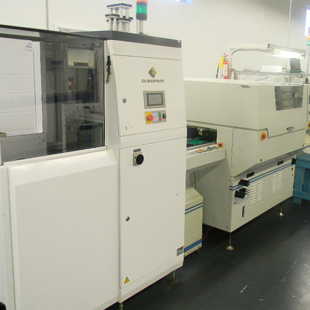 We have recently have added surface mount technology for assembling printed circuit boards. Piedmont was proud to have been selected as Member of the Month by the Habersham County Georgia Chamber of Commerce. Piedmont Automotive Products in Clarkesville GA has been assembling electro-mechanical products for the automotive and outdoor products industries for over 50 years. In addition to assembly work, Piedmont also does riveting, metal stamping, spring coiling, soldering, and now surface mount printed circuit board assembly. Piedmont’s first surface mount products are for trucks: electronic controls for heating and air conditioning, and LED cargo lights.